Having more than one way to cook your food can help make indoor cooking a lot more interesting, as you will have more options to make things creative. 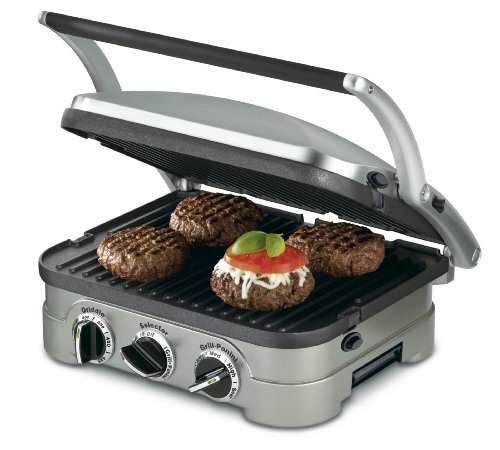 That’s what the Cuisinart 5-in-1 Griddler capitalizes on. 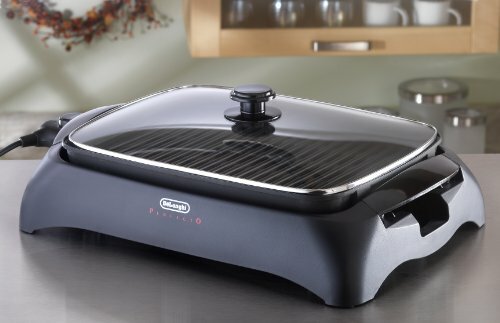 Thanks to the two removable and reversible plates, this appliance has 5 different cooking options: contact grill, panini, half grill and half griddle, full griddle, and full grill. These nonstick cooking plates help remove the grease from the meat, which will make your food much more healthier. Cleaning will generally be easier, unless you allow the grease to harden. If you allow the cooking plates to cool and then proceed to rinse them, the grease will come off. Cuisinart provides you with a scraping tool that can be used to remove the hard food debris, a tool that is extremely useful. By having two cooking plates parallel to each other, you can grab the handle and simply press the meat down for thorough cooking on each side. This means you won’t have to keep flipping your burgers over and over until you feel they’re finally ready to go. If you’re looking for a new electric indoor grill, the Delonghi BG24 Perfecto Grill is a must to consider. This grill allows you to retain the juices that are within your food for a tastier dish. The tempered glass lid sits right above the large cooking surface to ensure that your food is heated evenly with a natural taste. This glass lid can also keep your food warm; keeping all the heat within the grill area. A unique feature is the detachable thermostat. This adjustable thermostat will let you control how hot the grill gets; with heat options 1-5 available, 1 being the lowest and 5 being the hottest. When cleaning the non-stick grill plate, you can wipe it down with a dry or slightly damp cloth, and everything should come off easily. Emptying the drip tray is even easier, as you simply remove it from the grilling unit and dispose of the grease. Some issues that tend to arise with this grill is the lack of heating power. With a grill that doesn’t omit an extremely high heating temperature, you may have to wait a bit longer for your food to cook, but if you utilize the glass lid and possess a slight level of patience, you’ll be a satisfied customer. The George Foreman grills are typically known for their high-quality, healthier cooking. This electric grill is no exception. If you’re cooking for a large group of people inside your house or apartment, you can rest assured knowing that the George Foreman indoor/outdoor grill can help you get the job done. Let’s start with the removable stand. This grill has a removable stand so that it can be used both indoors and outdoors. When it’s time to start cooking inside, the stand can be removed effortlessly so that you can place the grill on the counter and start grilling. The grill also has nonstick coating on the cooking plates. These cooking plates are engineered to be durable and easy to clean without the use of oil or spray to grease the plate. In other words, you’ll be able to place the meat right on the grill after seasoning. Another impressive part of this grill is that it can cook up to 15 servings at once thanks to the 240-square inch circular grilling area. Using this Hamilton Beach indoor grill will give you that outdoor cooking feeling without taking up much space in your kitchen. The grill can sear meat thoroughly after you take the time for it to heat up. The stainless steel lid and handle will help your grill fit in with the rest of your kitchen accessories, as well as protect your hands from being burned from the high temperature emitted from the grilling surface. This grill also has an adjustable temperature control. The removable nonstick cooking plates included with the grill can be placed in the dishwasher once you’re finished cooking. Like most of these grills, clean up shouldn't take more than a minute or two. The Zojirushi EB-CC15 provides superior heating abilities. With this electric indoor grill, you can heat up almost anything. The 1,300-watt heating element will heat the removable plates quickly, with temperatures ranging from 176-degrees to 410-degrees Fahrenheit. These temperatures will be sure to cook your food evenly, without overcooking. The built in drip pan will store all the excess grease, fat, and other substances that come with cooking meat. This will make the cleaning process much easier and faster. While Zojirushi might not be a household name, the EB-CC15 has the features needed to simplify your indoor cooking. There are a lot of quality electric grills to choose from. This can make it difficult to choose the best appliance. By taking the time to review your options, you are more likely to find the best fit. If you like cooking outside in addition to cooking inside, such as within your apartment balcony or backyard, then consider the 15 serving George Foreman indoor/outdoor grill. 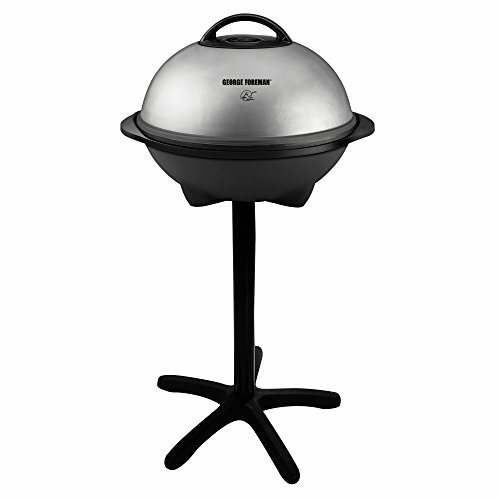 This grill comes with a removable stand that you can place the base of the grill on so that you can grill outside. In the event when you want to start grilling inside, the stand can be removed; converting the grill into a tabletop cooking unit. Someone who likes to make a variety of foods and get creative indoors will definitely appreciate a grill like the Cuisinart 5-in-1 griddler. Having 5 options for cooking will definitely change things up in the kitchen and make this grill much more valuable than one that can only grill or griddle. If you don’t like cleaning your grill, consider the Hamilton Beach grill. The cooking plates are dishwasher safe, so you won’t have to spend a lot of time scrubbing the surface. These 5 grills are not your only choices, but they are among the best indoor cooking solutions. They come highly recommended and features easy-to-use temperature controls and nonstick removable grilling plates. 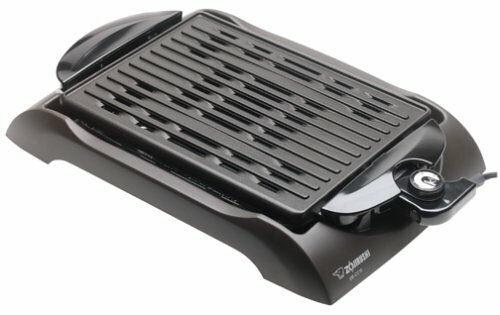 What makes electric indoor grills unique? 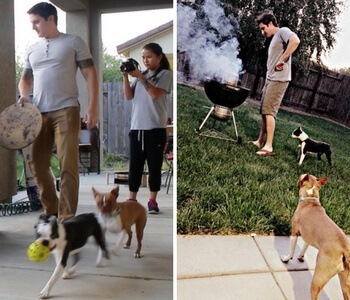 First off, you won’t have to leave your living space to grill your food. You just need to plug it in an outlet, turn it on, and start cooking. For other types of grills, such as charcoal, you need to set up the foundation for the fire and wait for the charcoal to be ready to cook. With gas grills, there’s going to be a time where your propane tank runs out. Also, since you aren’t dealing with an open flame, you won’t need to worry about flames flaring up and possibly burning you or your food. Not having an open flame will also take away the smoke factor, which will help you breathe better, especially in enclosed areas. Another advantage of having an electric grill is cleaning. When you’re finished cooking you can easily wipe down the cooking surface or throw the plates in the dishwasher, depending on what type of electric grill you have. 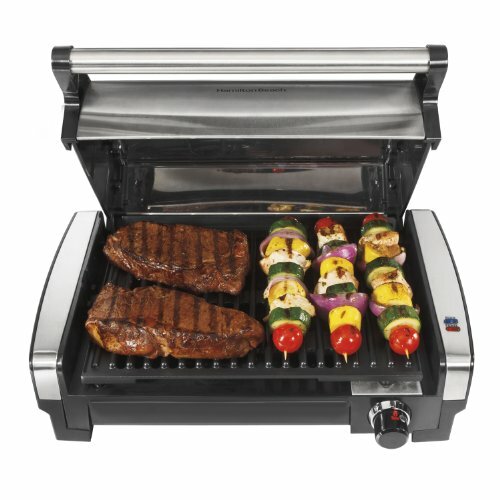 Some of the two piece electric indoor grills can also grill sandwiches in addition to your typical meats. The two sided grill can easily press onto the sandwich; cooking both sides simultaneously, saving time and energy. There some drawbacks to choosing an indoor electric grill. Some of these appliances will not heat up as quickly or get as hot as a charcoal or gas grill. You may also miss the “smoky” flavor that you get from outdoor cooking. Though, these flavors can be recreated using the right seasoning. In the end, electric indoor grills offer what all other grills can’t – convenience. Electric indoor grills will speed up the heating process, keep you comfortable inside, and save you time by reducing the cleaning and cooking process.